Snudekompagni et (loose translation to “The Nose Company”) is a dog training company who offers classes as well as individual training. Snudekompagniet is founded and lead by Hanne Truelsen. Hanne has had a long carrier in the private business sector behind her. She changed her life completely, when she in 2014 decided to dedicate her time and work to help people to get a better lifte with their animals. Hanne has a wide range of education behind her to support her work. She has a degree from the education of Turid Rugaas. 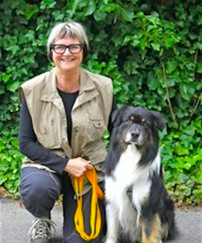 Turid is a wellknown and endorsed Norwegian dogtrainer. 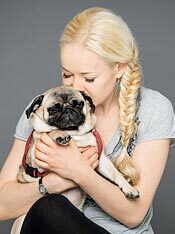 The concept of the education is the beliefe that the way to a good life with our animals, is learning to understand the language of dogs and their calming signals. Hanne is always taking further education in order to provide the best possible service to her clients. Hanne has a close cooporation with the veterinarian clinic Artemis. Together they host “puppy nights”, evening lectures and every other Sunday walks in ‘Dyrehaven’ with the dogs and owners. 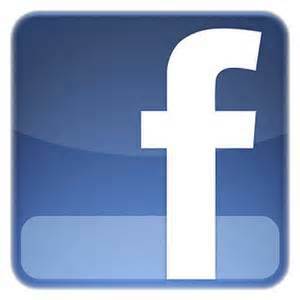 Have a look: www.artemis.dk. Go to www.snudekompagniet.dk for further information about training with Snudekompagniet.